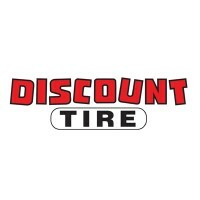 Discount Tire is a company based in Scottsdale, Arizona and focuses on wheel and tire retail. It is known as America’s Tire in California, Oregon and Washington. It offers a selection of brands such as Bridgestone, Goodyear, Michelin, Enkei, Konig as well as its own exclusive brands such as Roadhugger and Arizonian. It was founded by Bruce T. Halle, in Ann Arbor, Michigan in the year 1960. It was a single one-man operation then, with only six tires on stock at any given time. But by 1990 it has over 200 stores, growing to 500 in 2002. At present, it has stores in thirty-four states, the store count reaching over 900. In 2005, the company’s commercial entitled “Thank You” became the longest continuously running TV commercial of all time, as listed by Guinness World Records. In 1997, the company also received an International Broadcasting Award from the Hollywood Radio and Television Society. The company also holds events such as the Discount Tire Rally on the Rocks and sponsored others like Monster Energy AMA Supercross. Providing generous benefits is part of the company’s culture. Employee benefits include an employee referral bonuses, training programs, regular performance reviews, a 401k retirement plan, tuition assistance programs and discounts on wheel and tire purchase. Full-time workers however have additional benefits, which include paid vacations and holidays, scholarship programs for dependents, medical, dental and vision insurances, flexible spending accounts and employee assistance programs. The company’s workplace is fast-paced and lively, with an environment that highly encourages teamwork. It provides constant training for its employees. Workers are well taken care of the company’s management and it also has many opportunities for career advancement. How old do you have to be to work at Discount Tire? Applicants for some of the entry level jobs have to be at least sixteen years old to apply, but the standard for most of the other positions is 18 years or older. Applicants hoping to find work in Discount Tire may apply for the jobs listed below. Openings may vary per store, and some jobs might only be available through a walk-in application. Store Associate: Aspirants can apply for either a full time or part-time position. Store associate duties include installing wheels or tires, conducting basic car maintenance, providing excellent customer service and attending meetings and trainings. Those who wants to apply must be able to move and efficiently function in a physically demanding workplace. They must have a positive outlook and be reliable and dedicated to their work. Service Desk Analyst: They provide technical support for network, software and communication problems, among others. They also do several operational tasks, and must complete their work competently and accurately. Applicants must have customer service skills and has the ability to work efficiently to meet deadlines. An associate’s degree or equivalent experience is required. Those that also have additional college courses related to information technology and business, as well as software or hardware certifications are preferable candidates. Business Analyst: Their work is to provide strategies and insights regarding business decisions, research factors including business trends and develop analytical solutions. They must have excellent problem-solving skills and must work fluidly and professionally even under stress. Tire Technician: They are responsible for installing wheels and tires, as well as other components. They must be able to operate all equipment and tools, though prior automotive experience isn’t required as the company provides training. They are also responsible for other miscellaneous tasks. Multimedia Developer: They develop complex multimedia objects and are responsible for designing, maintaining and making animations, graphics and other related platforms. They also perform other duties assigned by the management. Regional Administrative Assistant: Their responsibilities mainly focus on providing support to the Regional Office staff. Some of their daily workload includes arranging conference calls, directing equipment maintenance and repairs, ordering stocks and maintaining strong customer relationships. Category Buyer: A category buyer’s duties involve assisting customers in buying quality services or products at a fair price that is safe for the company. Their main goal is to help the company save money, and the consumers save their time. They handle supplier research and executes Master Agreements and other vital documentations. Aspiring applicants must possess excellent organizational and problem-solving skills, with a positive attitude and the ability to adjust to changing requirements. Graphic Designer: They are in charge of designing complex marketing materials for company advertisements, websites and such. They prepare finished designs and stay current on trending technologies and strategies. Applicants with corporate retail experience are preferred. hey must be attentive to details, can follow instructions well, and have excellent lay-out and graphic designing skills. Communication Specialist: Individuals in this position are responsible for coordinating internal communication between Corporate and Store employees. They circulate communication materials such as project schedules and delivers high-quality work competently through different channels. Some of the position requirements are good interpersonal and communication skills as well as proficiency in writing. Video Producer/ Designer: They develop video marketing materials that are engaging and used for mobile or social media applications, television and online. They are responsible for video shoots, researching footage and acquiring licensing for resources. Aspiring video producers must have experience in producing high quality, pixel perfect designs. They must have an eye for detail, can follow instructions and able to work in a fast-paced environment. Assistant Store Manager: They mainly assists the store manager in analyzing sales and ensuring that every employee’s individual skillsets are utilized. They identify business opportunities and increases customer presence by holding events. They also help the store manager in detecting training needs, as well as assisting in the hiring process to ensure the store is fully staffed. Aspirants must have strong leadership skills, as well as the ability to solve problems professionally. Interested applicants may head to the store nearest their location and personally ask the management for an application form. They can submit their resumes after filling out the form provided to them. They can also apply online by simply going to the company website. Application forms are available both in stores and online. An individual can download an application PDF and print copies to fill out, which will be given to the store manager for consideration afterwards. Printing several copies is best, to avoid erasures. In filling out online applications, applicants must double check the slots to ensure they typed in on the correct slot and provided only true statements. To know what kind of pertinent information an applicant needs to write down in their resume, it is advisable to do an intensive research of the company and its products and services. Applicants should cite previous work experiences related to their desired position, if any. They must also include any trainings they had, as well as additional college courses and its equivalent. Discount Tire’s interview process is simple and direct. In most positions, aspirants will go through one interview only, while candidates for management positions may have to go through several interviews. Casual business attire is a suitable wear when called for an interview. Candidates should show confidence, which can be achieved by maintaining eye contact and good posture. Questions should be answered directly and honestly, highlighting skills, past experiences and strengths in the process. Its philosophy is built on its employees, providing benefits to ensure their workers are satisfied with their jobs. They believe happy employees make happy customers. They follow a strict promote from within model, offering career opportunities and promotions to their most skillful workers. The company is known for not shying away from political controversy. In 2016, Sheriff Joe Arpaio’s reelection posters were found plastered on Discount Tire’s stores in Arizona. The same year Discount Tire founder Bruce T. Halle donated a total of 1 million dollars to Arizonians for Responsible Drug Policy, a primary opponent to the legalization of recreational marijuana. This prompted several backlash and boycott threats from several oppositions. It is also well-known as the largest tire and wheel retailer in the world. The foundation of its business is customer satisfaction, focusing its efforts in giving great customer service and reasonable prices. The company also reflects Bruce T. Halle’s values through their philanthropic programs, which includes The Bruce T. Halle Scholarship Program, a national program available to college-age employees that worked for the company for three years and The Administrative Angels’ Philanthropy Program. The Bridges to Hope Corporate Philanthropy Program and Driven to Care are also included. 1 How old do you have to be to work at Discount Tire?